Comfort Inn Monterrey is a 4* hotel located in Monterrey-Valle, Mexico. It features 127 rooms and swimming pools. Welcome to Comfort Inn Monterrey, a hotel located close to the commercial and business districts in San Pedro Garza Garcia. 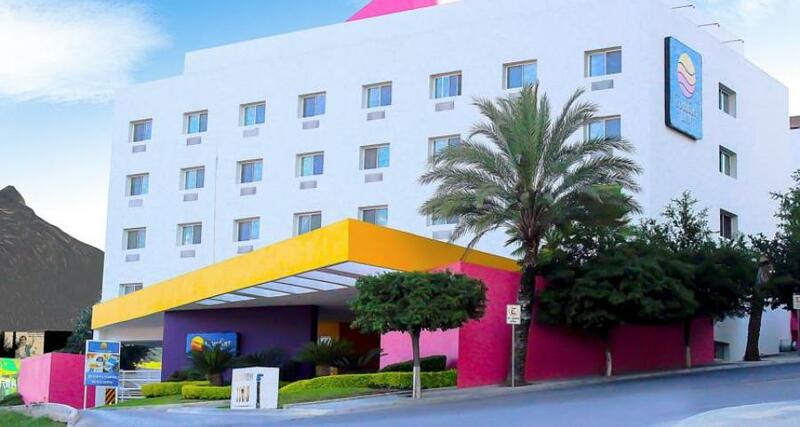 Whether you're traveling for business or leisure, this property offers a wide range of amenities, as well as some of the best service in all of Monterrey. At Comfort Inn Monterrey you'll also find a restaurant that caters to business travelers and stays open all day serving a variety of delicious Mexican dishes. In accordance with the Mexican laws regarding tobacco, smoking is not permitted inside the hotel.